Since 27 April 2015, ‘Mandela’s children’ have been turning twenty-one. They are the first of the ‘born-free generation’ to become adults. Are they better off than young adults were in the early nineties? It’s a difficult question to ask at the best of times, but in an election year it is particularly loaded. Statistics South Africa must therefore be lauded for its recent release of a rather depressing report of the state of young people from 2009 to 2014. Materially, educationally, economically – there’s not much good news. But how do you compare the despair of joblessness with the dignity of political freedom? For some, the prospect of a job trumps the right to vote. For others, the desire for liberty is more visceral than the ache of hunger. Inevitably, we gauge progress by what we think others should value most. Further complicating the question is that the world has moved on since 1994. Guns, germs and steel – to quote Jared Diamond’s famous book published twenty years ago – keep redesigning our lives. Today its title would, rather clumsily, have to include cellphones and fibre optics. The global context has changed radically, with seismic effects on Generation Z. So, has democracy improved the lives of young people in South Africa, all other things being equal? It will always be a question of opinion. There is however a question that is far more important because our future depends on it. That question is: What did we miss – that we must put in place now – to ensure that the babies born today have a far brighter future than ‘Mandela’s children’ who are now reaching adulthood? We may quibble over the size of some of our failings, but probably the biggest is that we missed making the majority of our young people employable. According to Statistics South Africa, 57% of 15-34 year olds are unemployed, and the percentage of black African workers classified as ‘skilled’ increased by only 2.8 percentage points between 1994 and 2014. Still fewer than one in five black African workers is skilled, while the minority population groups have become a lot more skilled over the past twenty years. Dr Mignonne Breier and Prof. Pieter le Roux have shown that proportionally fewer black South African men aged 20-24 years participated in higher education in 2011 than in 1996. This in an economy that relies on large numbers of skilled workers to grow. With good reason, much of the criticism has been directed at the quality of public vocational training colleges and their dislocation from the needs of industry. But that’s looking at the end of a human capital pipeline that leaks badly all along the way. Fixing the tap is important, but that is not enough to improve the volume and quality of graduates that come through the system of education and training. The starting point must be to protect and develop the source of human capital, and this is what we keep missing. The National Development Plan notes that “South Africa loses half of every cohort that enters the school system by the end of the 12-year schooling period, wasting significant human potential and harming the life-chances of many young people”. However, schools are not the main source of human capital that needs protection. It goes even further back than that – to the first few years of a child’s life. If we protected and developed our children before they went to school, they would be able to learn better and be prepared for the world of work. Government policies and labour practices that make it hard for young people to enter the workforce still need to be tackled, but arguably the biggest constraint to employment will have been overcome. This is what we are missing most: young children who are sufficiently well-fed, ready-to-read and connected into simple networks of care and support. A study published in the Lancet in 2008 followed cohorts of children into adulthood in five different countries (including South Africa). It found that children’s height at two years of age was the best predictor of adult human capital. Stunted children performed worse at school and were less economically productive as adults. Yet, a quarter of our children under three years of age are stunted – a percentage unchanged in the last twenty years. A 2010 study by the Department of Economics at the University of Stellenbosch concluded that the per capita GDP in South Africa would be around 23% higher if all South Africans were sufficiently literate to participate in the formal economy. They estimate the loss to GDP in the order of R550 billion per annum. Halve that projected benefit and it would still be equal to the total annual public spending on education. A recent report from the same department shows that by Grade 4, more than half of all learners are already off track, unable to read or do the basic math expected of them. These are the same children who repeat grades later on and end up dropping out of school. Education would pay for itself if we made the relatively modest investments in early learning that are necessary for the full beneficiation of schooling. The third missed opportunity is that we have failed to create networks of care and support for young children. Once they leave post-natal clinics at six weeks of age, they only visit health services for vaccinations or when they are sick. Yet connections to modest opportunities – that provide companionship for young mothers, bring books into their homes and enable participation in early learning playgroups – can build lifelong resilience in children. The child psychologist Ann Masten calls these connections the ‘ordinary magic’ that can place even the poorest children on a pathway to success. These are the three critical factors that too many of Mandela’s children have missed out on. Every day though, more children are born and for them the clock has started ticking. If they get to school well-nourished, ready-to-read and connected to networks of care and support, they will thrive. If not, they will join the ranks of millions of young South Africans who will probably never find a decent job. For them, the next five years are critical. It seems deceptively easy to do – feed children, get them reading and connected to networks of care and support. But there is no way that government will achieve these goals in the next five years, on top of all its other priorities. No, the greatest possibility for success rests with us as ordinary South Africans. Imagine if we declared our determination to make South Africa a country free of nutritional stunting and each of us took some responsibility for it. Every year, over 11 million tonnes of food reaches its ‘best-before’ date on grocery store shelves and is discarded. Working with major retailers, the Food Bank is able to rescue over 3 million tonnes and redistribute it to hungry families. Who is dumping the other 8 million tonnes? Letting perfectly good food go to waste should be unacceptable in the eyes of the nation. It’s not the whole solution to food insecurity, but it’s a start. Stand by one child who would otherwise be at risk. Tell them stories, give them books. Tap into a national reading campaign like Nal’ibali that has created a wealth of resources for young children. Take that child and his or her family to the beach or museum. Look for simple opportunities that will enrich their lives. It sounds too simple, too insignificant to have far-reaching impact on the national economy – or too complicated because it relies on a massive collective effort. But every year, a million children are born in South Africa and half of them will miss out on achieving their full potential. All it needs is for 500 000 people in this country to show interest in them and confidence in our common future. Mandela’s children missed out on some of the most basic ingredients for a fulfilled and prosperous life, and the whole country has consequently lost out. Now they themselves are having children. We know what needs to be done, and done urgently. Mandela’s grandchildren cannot miss out too. 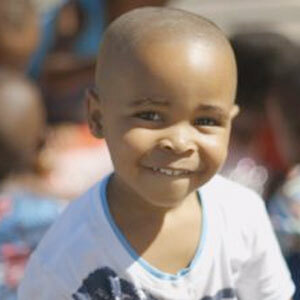 To see how you can help to create better life outcomes for South Africa’s children click here.